Hey hey. 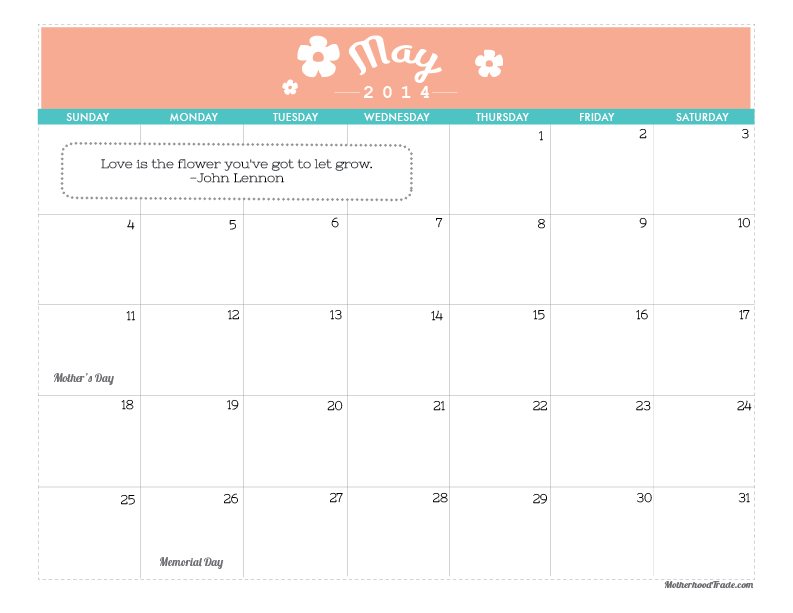 I know it’s a bit criminal to be talking about next year when this year is still too young (for me at least) to even mention its farewell but…I was asked by sugardoodle.net whip up a 2015 set of calendars to be feature as one of their guest bloggers as part of the launch of the new site (woot woot!! )…so here ya go!!! Brace yourself for a year full of good times…cause at least you’ll have some rockin calendars to plan for it! Ha. Enjoy. 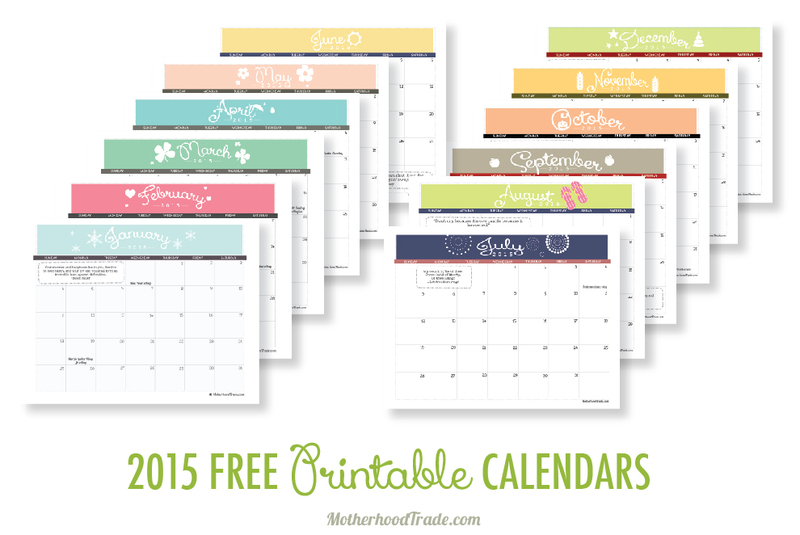 In my groggy postpartum state I made a few errors on the calendars, my apologies!!! The download above should have my edits. Alright, alright, this is getting really silly but apparently there were a few MORE bloopers on the calendar. I know. Don’t EVER trust a sleep deprived mother of three crazies to make calendars again!!! I’m seriously just out to mess everyone’s year up by sending out hundreds of miss printed calendars to create chaos and confusion everywhere, muwhahahahahahaha…ok. I’ll stop now. Hey, at least by the time the new year rolls around, they might actually be correct. The updated version is now available. Let me know if anyone else catches more mess ups. Sorry bouts that. Happiest of summer celebrations to you!! 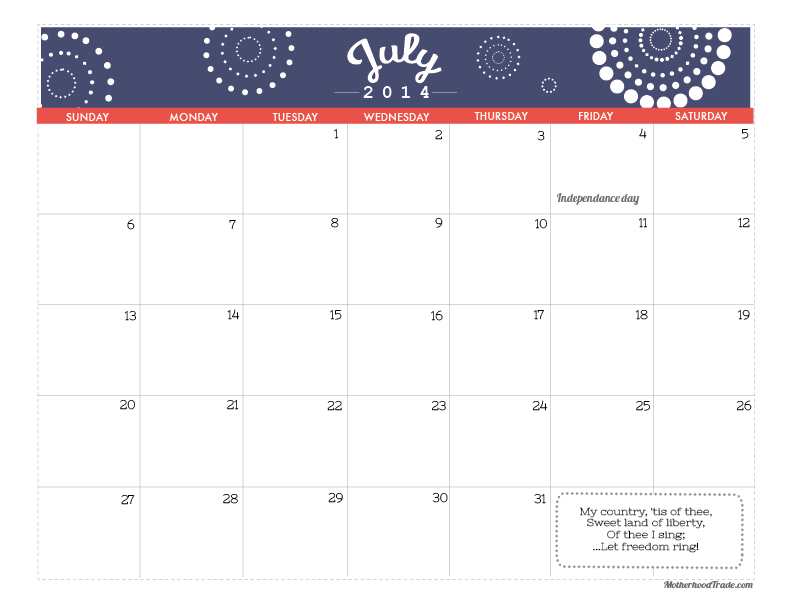 Here is the July calendar download! Can you believe the year is half way through??!! Plain crazy. Enjoy some summer heat!! 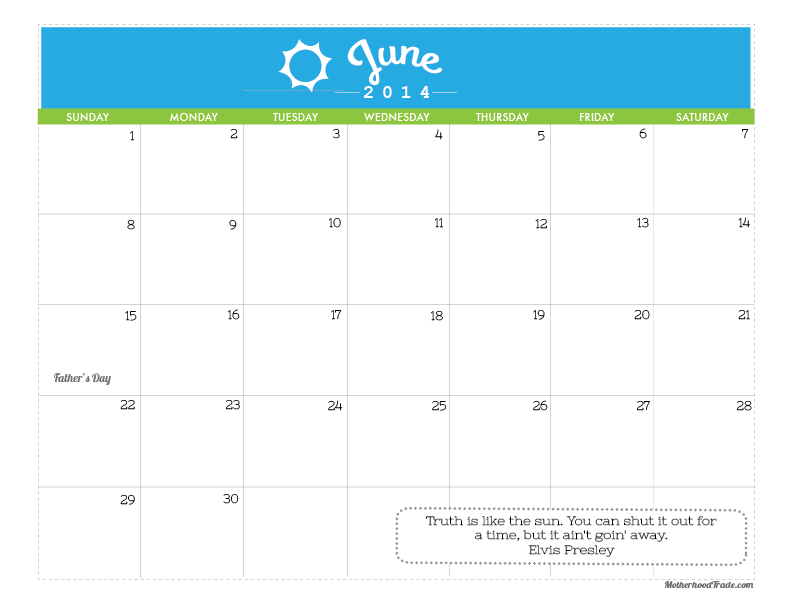 Here is the June calendar to plan all warm weather adventures. I love parties. My husband loves the Lord of the Rings. 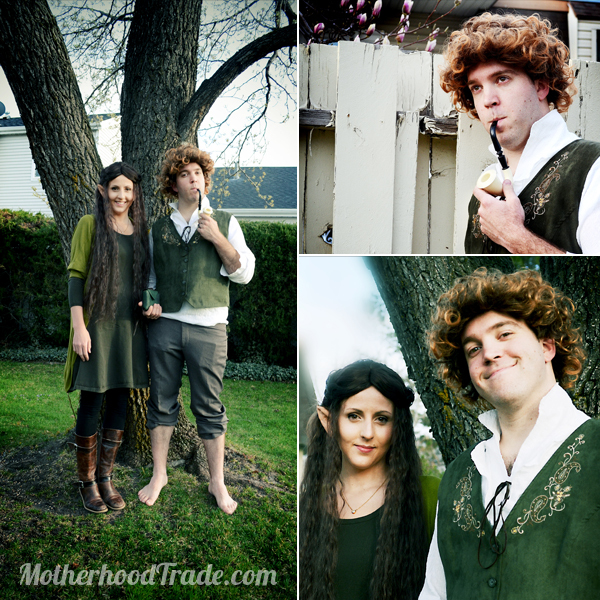 How did I decide on a Hobbit party when I can’t even stay awake an hour into the movies? WELL, my favorite part of those movies has always been the SHIRE. Could it be because it is in the first 20 minutes of the film? Possibly. My simple brain can’t handle complicated plot lines, blue filtered battling/action sequences or keep track of too many characters with unusual names, but it has always appreciated the tranquility and simplicity of the green pastured Hobbiton. That and those Hobbits know how to party! The best and most surprising part about putting this party together was the keen interest and involvement the Mr. suddenly seemed to have about the party. 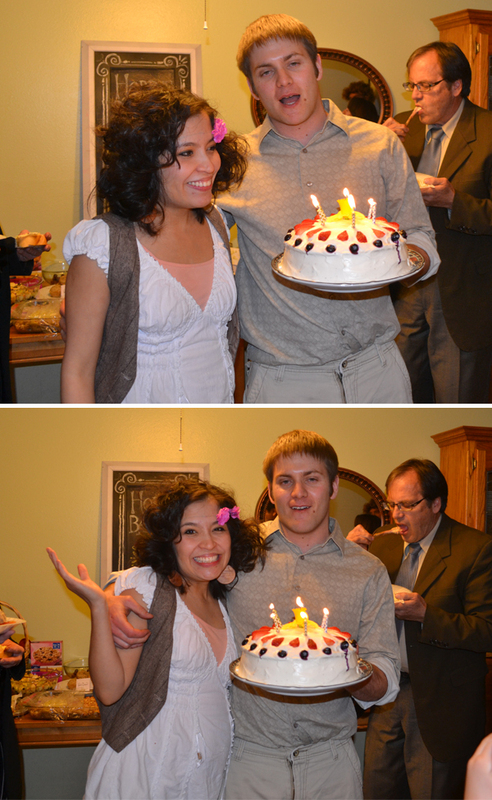 I’m the party girl, he usually (typically reluctantly) just goes with it. But not this time around. This was a LOTR party. You should have seen him the night before the party whipping up Lembas Bread and seed cakes as if he were trying to save middle earth from starvation. You may have gotten hints from this and this and other posts that I’m quite cheap, or we’ll say.. resourceful. 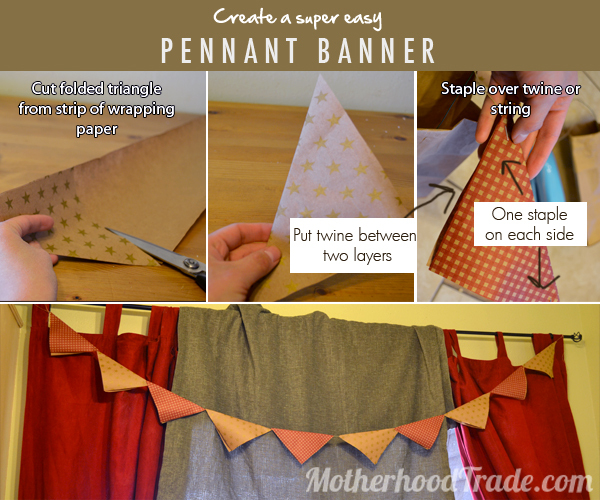 Here is a pennant banner that I came up with using wrapping paper that I had around. 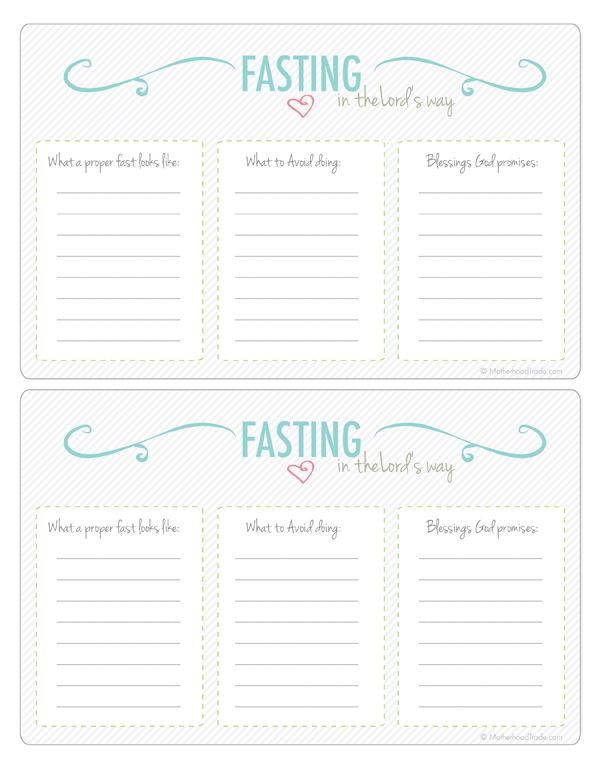 Some signage to welcome guests… Here is the DOWNLOAD. 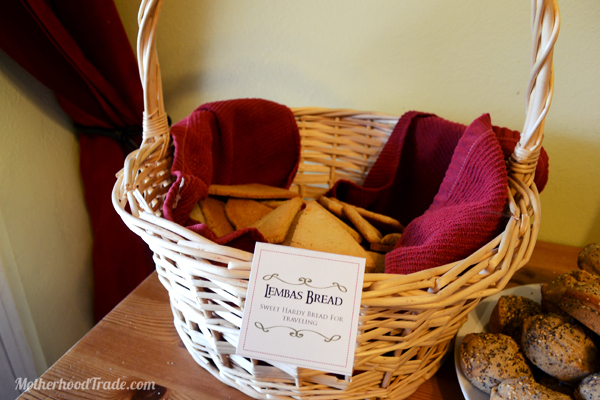 The Lembas Bread has a hit! It was cute to even hear our little ‘hobbit’ two year old request, “Mo Lembas peeze” after he gobbled piece after piece. It was quite the delight of my LOTR loving hubs. 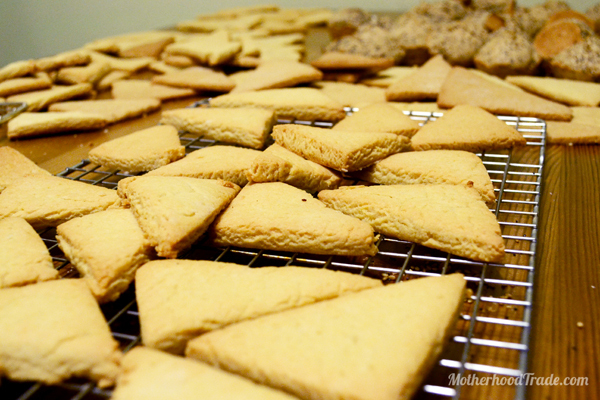 Here is the lembas bread recipe used. 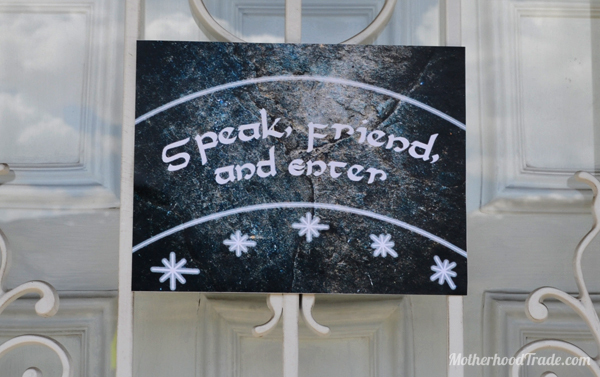 It would be tricky to have a Hobbit party without Bilbo’s favorite snack! 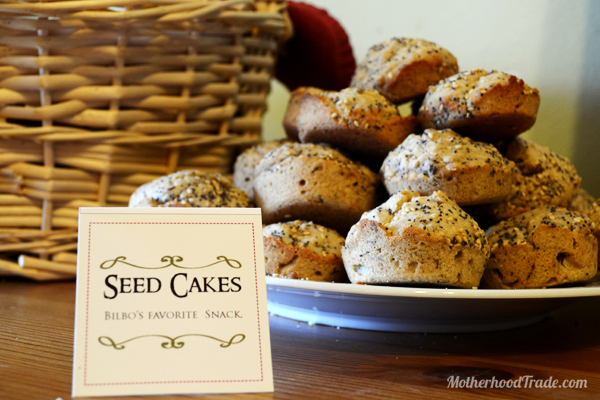 Seed Cakes. Here is the recipe we used. Food, food and even more food! Ahh, everything was so so delicious. Did I mention the husband went crazy with the food?? He did amazing, if I say so myself. 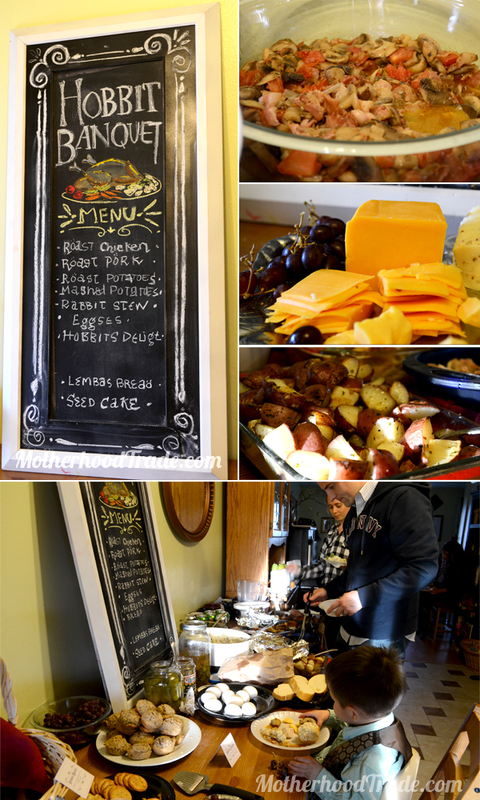 The Hobbit’s delight (top right corner of picture series above) was my favorite…Bacon and mushrooms, how could you go wrong?? Here is the recipe used. 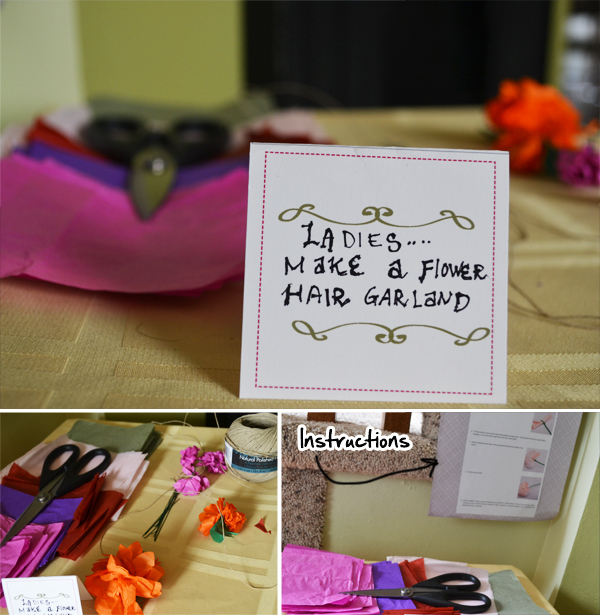 I There was a little little corner set up to let the Hobbit ladies make some sassy hair garlands. 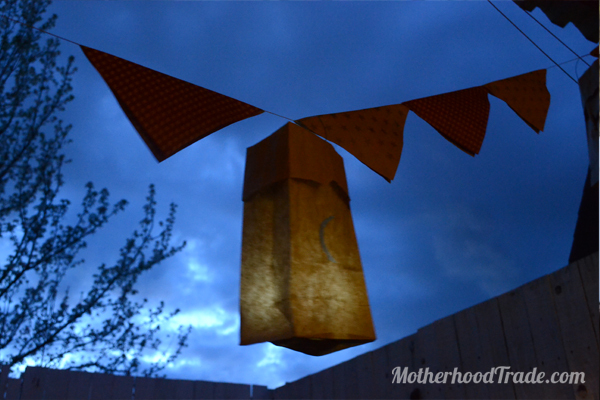 I hung up some instructions that explained how to make a tissue paper flower, here is the link. I was more than excited to see our good friends go all out with their costumes!! They looked specular don’t you think?!?! 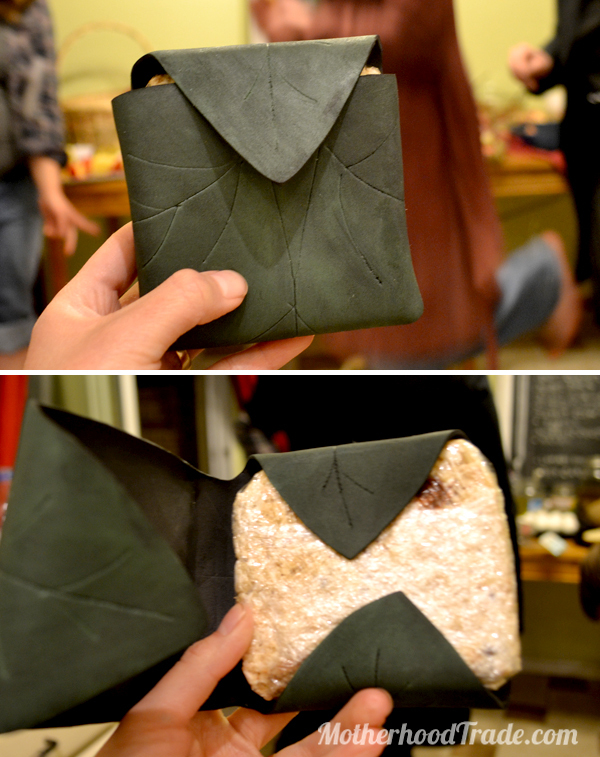 Not only that but they even surprised us with our very own Lembas Bread pouches to take on our adventures!!! Can you believe my friend MADE these??? HOLY AMAZING. She’s so creative. Here is a tut. Here is the cake. Nothing special, just used a cake mix and this frosting. 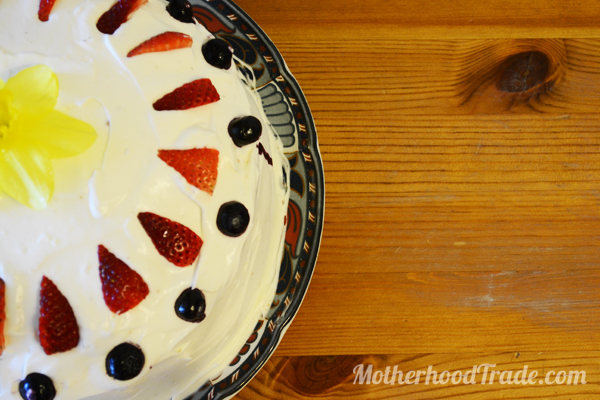 I decided this is my new favorite frosting recipe! Happy Birthday to us! YAY!!!! 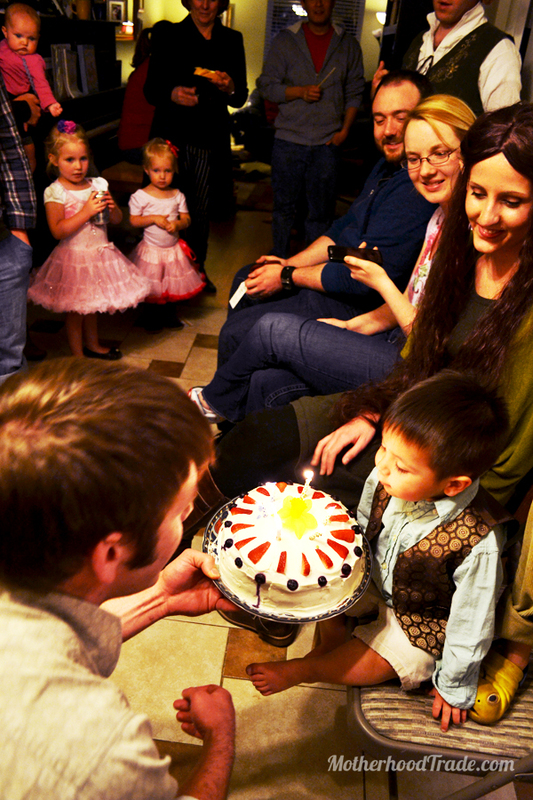 Little hobbit man helping blow out candles. 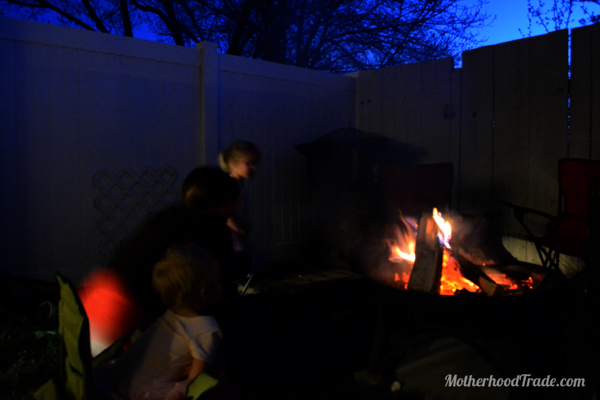 And we even had (borrowed) a fire pit to cozy up and sing us some LOTR songs. Ooooh, it was so fun! I’m happy with the way everything turned out, for a hubby that helped make it happen and friends that made it simply AWESOME. Thanks!!! 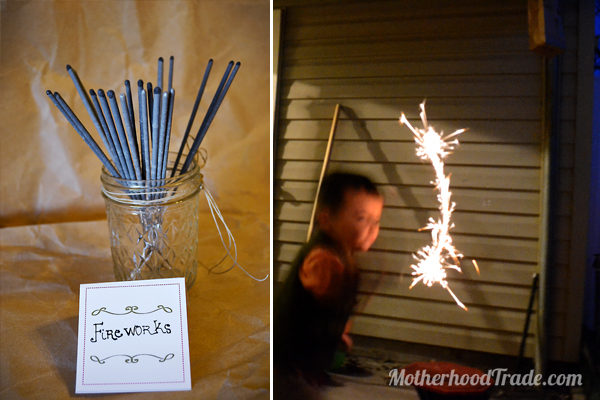 Checkout more party ideas and printables on this bloggity. I LOVE May. Beautiful weather, not scorching summer hot and easing off the temperamentalness of the up and downs of spring weather. Life is infused back into the world, sweet aroma of flowers blooming, birds a singin’, early mornin sunshine, smell of freshly cut lawns…oh, I just love it! Enjoy this month! 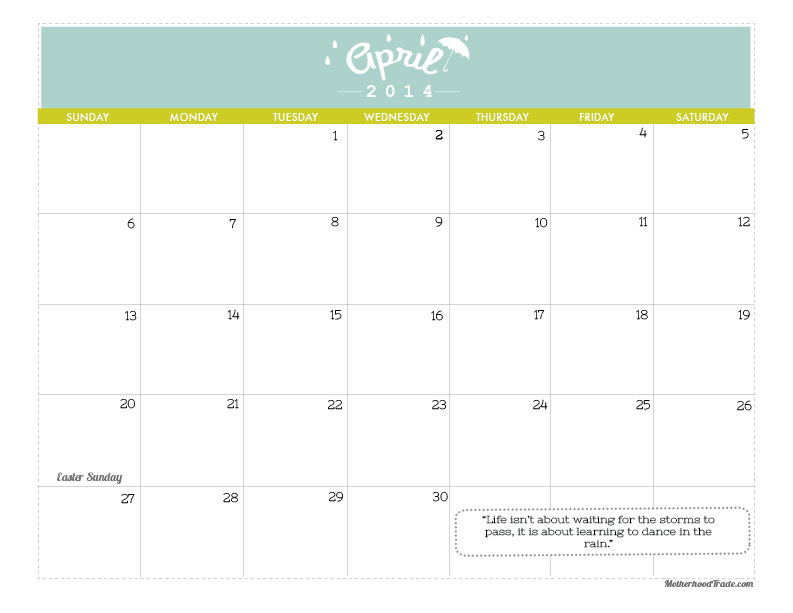 Here is the April Calendar to plan your puddle splashing and days of sunbathing! Ah, don’t you love the surprise element of spring weather (at least where I live!)? I call it “PMS weather”. You just never know. 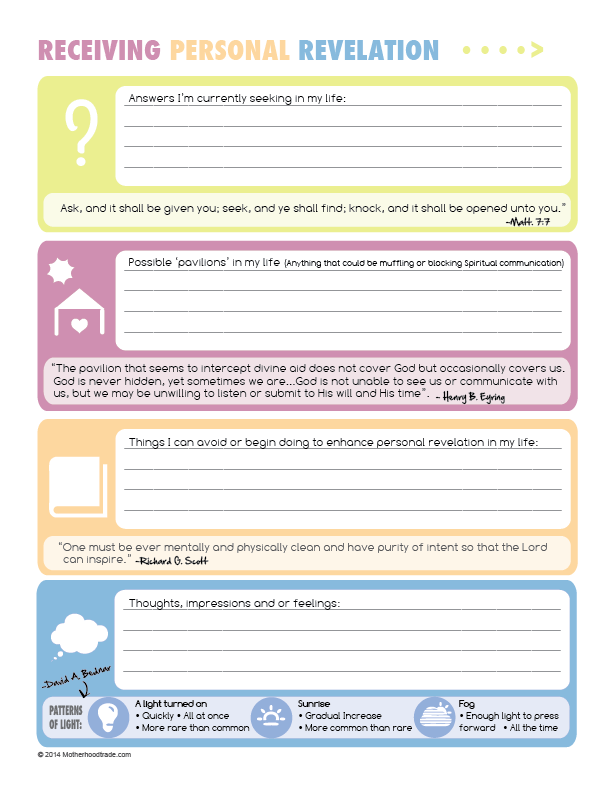 How can repentance help me every day? Dispute the initial unsettling sting of a call to “repent”, I am learning the beauty of repentance is in the delivery and intent of the message. Keeping in mind that it is a loving Savior asking us to repent and knowing the intent is purely out of love and His total desire for us to come to experience even more ridiculously awesome levels of happiness and understanding, we can seriously accept this invitation with total excitement! Yay! We are given the permission, tools, motivation and power, to change and do better because of it! Once I heard repentance mentioned anywhere I unconsciously excluded myself and assumed it was mainly directed towards serious sins. I viewed it as a rigorous process set aside for those with transgressions requiring serious attention. And while repentance is a powerful thing that can encompass and heal us from even the deepest of sins, I am learning it actually applies more intimately with my personal moment to moment life than I could imagine! 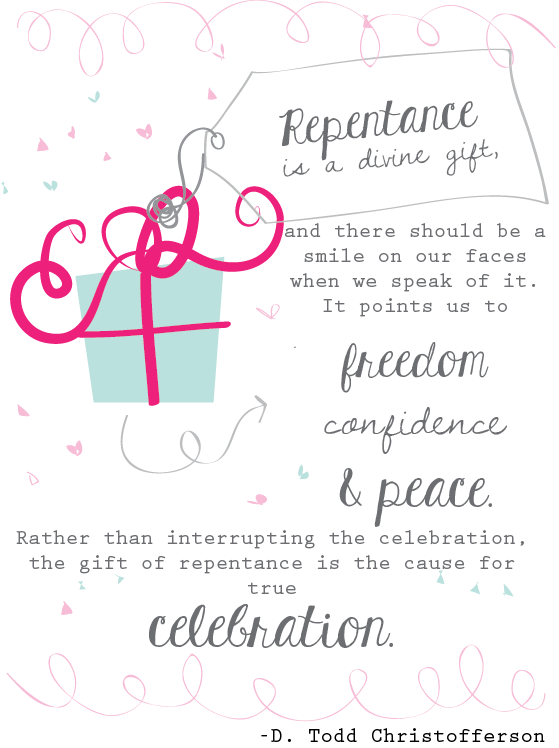 How repentance applies to all. Many times in my life I didn’t even know I needed to repent. I didn’t know that I was the one that needed to change to improve my life, instead I usually was just waiting for God to change my circumstances and for Him to just MAKE my life better. But one of the most beautiful things Christ does in our lives is that He helps US change and we are then empowered to change our own personal circumstances. 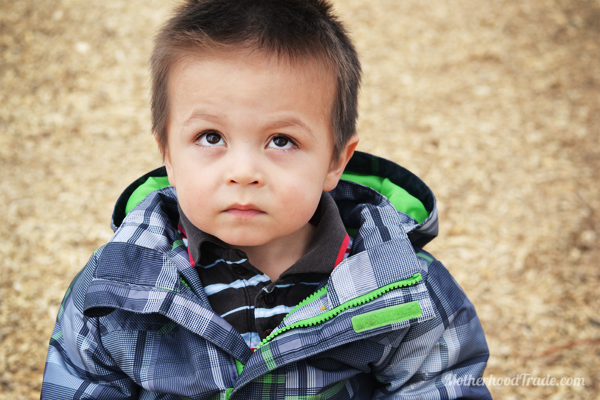 How are we brought about to change and repentance if we don’t know where and how to start? It starts with being humble enough to know that there needs a change to be made. But honestly, in my total absentmindedness, sometimes I don’t even know how to be humble enough, but I can tell you, I can certainly be brought there. I’ve seen some of the greatest spiritual changes happen in my life when I had simply exhausted all my own personal efforts of improvement. When everything I ‘tried’ failed to work. When I was tired of seeing the same dead ends and tired of the same sad feeling or feelings of despair. In those moments of utter helplessness and downright humility is when my heart was ready and finally open to accept heaven’s help. A precursor to many significant inner changes in my life has been deep and ugly sobs of utter defeat, and total sincere longing for the help of God. Those were moments where my heart was at last moldable enough that heaven could perform it’s magic! To begin a wonderful gradual process of repentance, or change or improvement of turning the wretched, prideful, hard, stale parts of my heart and healing the hurt and pointing it more towards God and cause my entire heart to sing sweet happy tunes of relief and JOY!! 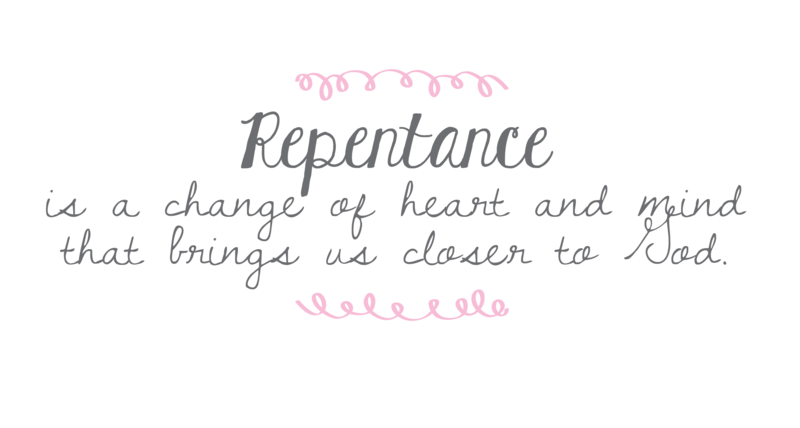 Repentance, It is a process. 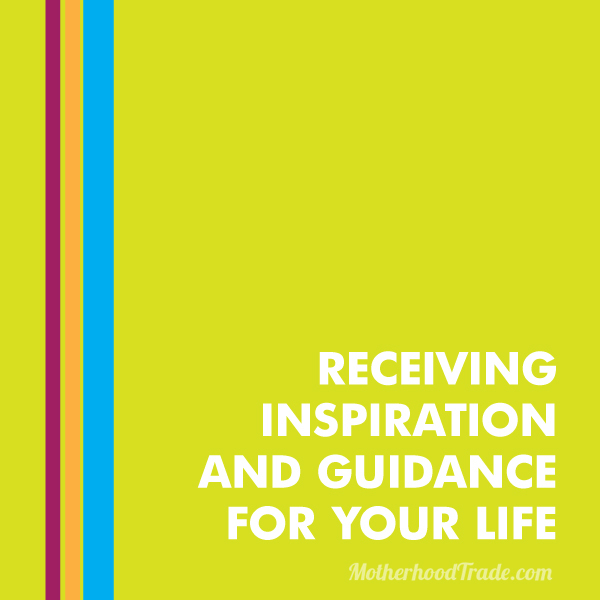 It can be a long and gradual process of letting go, becoming moldable, teachable and flexible. It is relinquishing our pride, the hard parts in us that prevent change, stripping away false preconceived notions about ourselves, others and God. It is abandoning behaviors that do not serve our spiritual progression. It is discarding doubt for trust, casting away fear and clinging on to faith. The more falsehoods we shake off, the more room for the Spirit to grow and be nourished and more power for it to transform us. It is all conditional on our desire and faith for it to do the work it was intended to do within us. 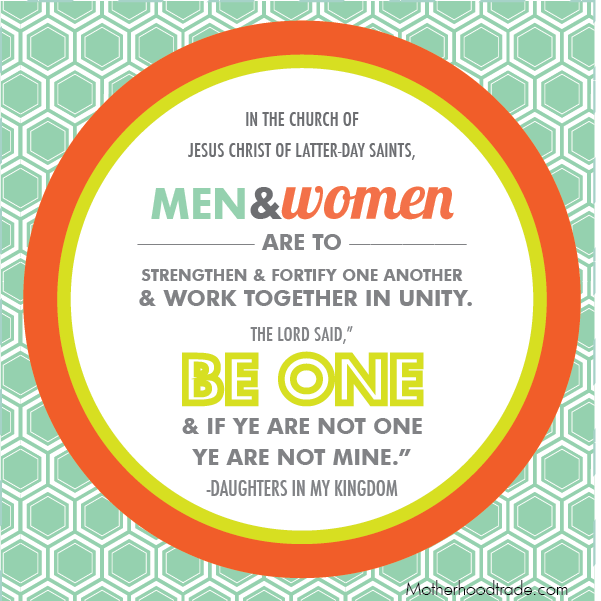 To let the power of the Atonement, conditional on our repentance, change us deeply and truly and to become the glorious being we were always meant to be. EXCITING UPDATE! 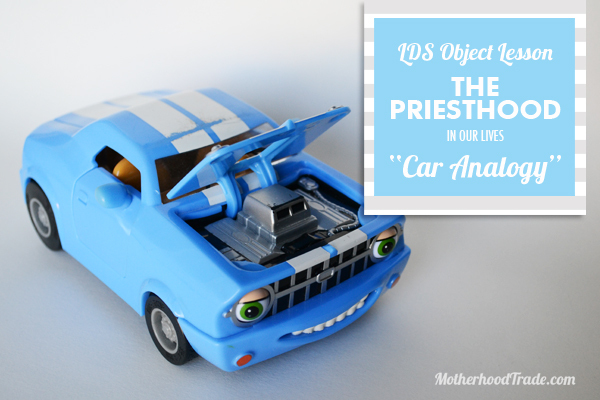 (3/22/14) Here is an object lesson recently ‘came to me’ with for this lesson. ENJOY!